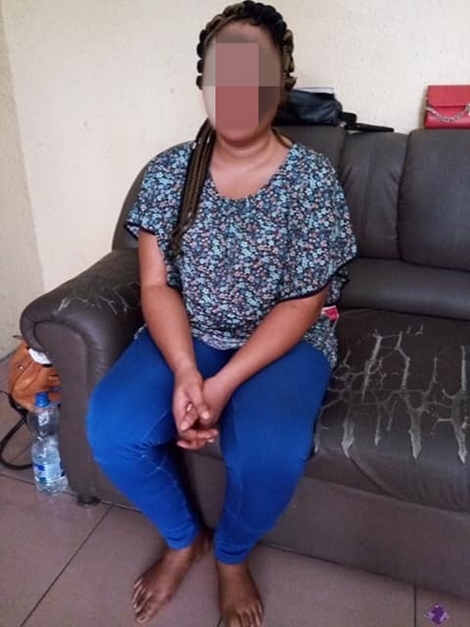 A Facebook user identified as Ifeanyi Calistus, has taken to the social networking platform to share the sad story of a blind mother-of-one who was abandoned by her husband who allegedly gained custody of their only child forcefully. According to the 34-year-old visually impaired woman, Margret Uko Ekanem, the husband secretly packed out of the house with their house help without her knowledge, or information of where he currently lives. “Her name is Margret Uko Ekanem. She is totally blind. Age – 34. She has a National Diploma in Mass Communication. A native of Akwa Ibom State but resides in Port-Harcourt. The whole Odessy started in 2009 while she was doing her one year internship with a media house in Poryharcourt. Her path crossed with that of Emeka Idika – A media Practitioner himself. The relationship led to marriage which was formalised on the 19th of May 2012 in a court registry here in Port-Harcourt. The Union was blessed with a bouncing baby girl – Divine by name. Emeka Idika perceived the disability of his wife as a gold – mine to gain compassion and goodwill from members of the society. Soon Car and other material supports began to come in from people who were moved by the story of his blind wife. It appeared that Emeka had no true love for his wife. He only wanted to used her handicap to achieve certain means. He disrespected the wife and turned her into a punching bag. She abused and insulted her and even beat her up when she was nine months pregnant. Each time Margaret complained about Emeka’s shameful and amorous escapades with other women, it earned her severe beating of her life. Last year, Emeka secretly packed out of the house with the house help. His present residence is not known to Margret. She was abandoned all alone in a sprawling three bedroom flat. The rent of the house has already expired and the landlord had served her summon to vacate the apartment. On the month of June 2017, Emeka conspired with the daughter’s cab driver to take her away from the mother. It was a psychological blow on Margret as her daughter is her bundle of joy and consolation. She hasn’t seen her daughter again. She reported the matter to FIDA but all her efforts were frustrated by the compromised system. In her words ” They were bunch of ‘ Scammists’ who could be easily bought over by money”. She lamented that there is so much compromise, ineptitude, mediocrity, and rot in the Justice system of this country. She said she was sorry to say it but that’s facts. Next articleRegina Daniels Vs Meraiah Ekeinde – Who Is The Most Fashionable? You Won’t Believe What Fans Accused AY The Comedian Of Today!! !